There was just too many parts to the trip out, uncomfortable seats and it was hot, and everyone was staring at me on the subway and on the street as if I was about to pop. It was just all too much. If I could have hit a red button to be air lifted home I would have done that. It’s not like I was walking long distances it’s just that any distance felt like a marathon, and I was missing the safety blanket of my neighborhood where my waddling self is a familiar sight. So I have a few things in the calendar (other than doctor’s appointments) and luckily they are all close to the PATH train stops but once they are done it’s just going to be only coming in for doctor’s appointments and scans, and leave the socializing for the weekends when Alex can drive us. I swear I’ll be more mobile with twin cylons in tow! On the Cylon front they still appear to be having a whale of a time at chez moi. The movement has stepped up a notch and they are now jiggling/stretching/break-dancing like they have all the space in the world. I was trying to have a nap this morning and they decided to stretch arms and legs at the same time. It’s crazy awesome and it makes me want to meet them even more. They are going to be so much fun! My OBGYN is really pleased with our progress. 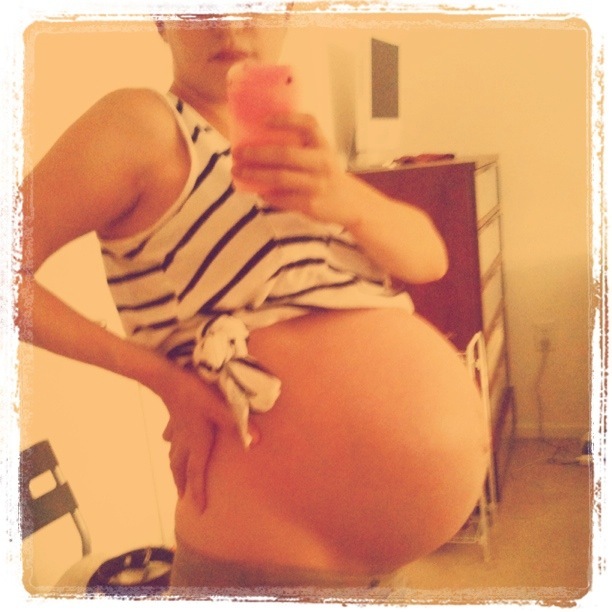 I just have to keep taking it easy, and hopefully we’ll get passed the next milestone (35 wks). The only glitch is that I’m still anemic. My numbers have gone up but not enough so she’s doubled the dosage of my iron supplement so if I wasn’t constipated before I will be now. Time to breakout the warrior juice, and dried apricots. Fun times ahead. Tomorrow night we have a ‘Baby Basics’ class at TriBeCa Parenting, and next week another scan so we’ll see if the breeched Cylon has turned or not. After two pregnancies of my own, and observing countless others, I have formed the firm opinion that the last ten weeks is the WORST!! I’ve never had twins, but even with just one in there it’s bad enough. However, there are good points (like the way that people are so happy to do things for you) and of course the end result is wonderful! 🙂 Good luck! Thanks! I’ve had to take it so easy since Feb that I’ll just ride out the last few weeks. All due respect to pregnant women who juggle working and/or taking care of other children!